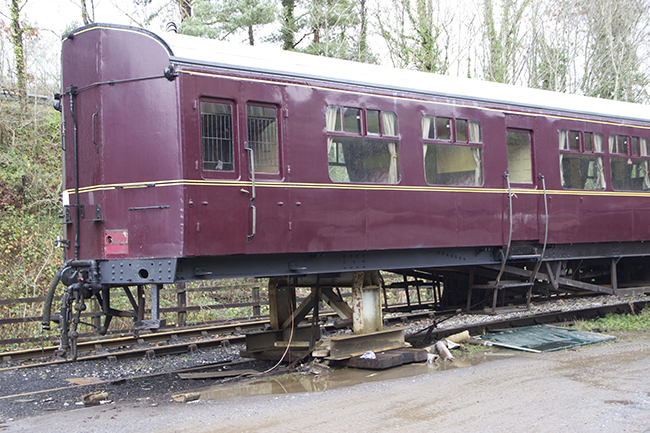 BR(W) built autocoach has been in A shop for attention to rusting on the underframe, and is also being retyred. 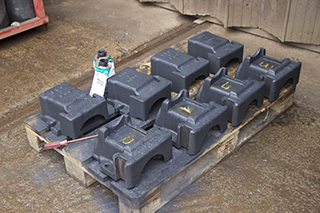 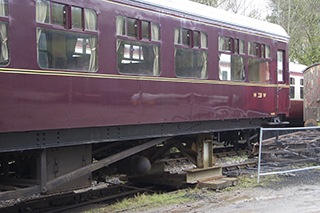 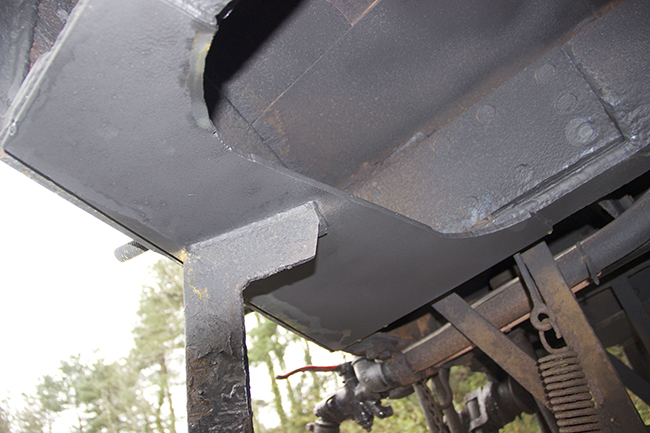 The photos show the coach up in the air outside the boiler shop with one bogie run out, new steel brackets that have been welded in, and a volunteer gang undertaking the retyring. 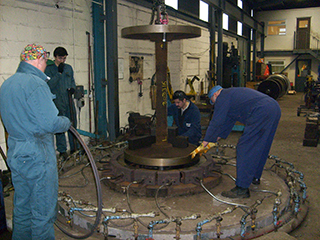 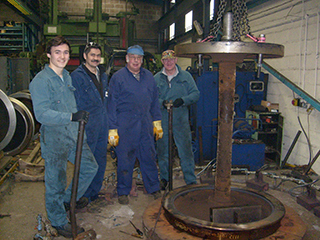 South Devon Railway Engineering fit new tyres - (L-R) Connor Brodie, Rob le Chevalier, Keith Innes and Wayne Brodie. 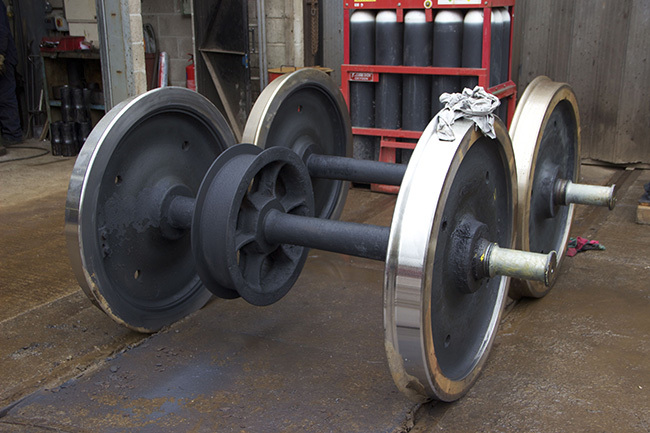 Work is progressing on W228 with the remaining wheelsets being retyred and the axleboxes refurbished in readiness for rebuilding the bogie.